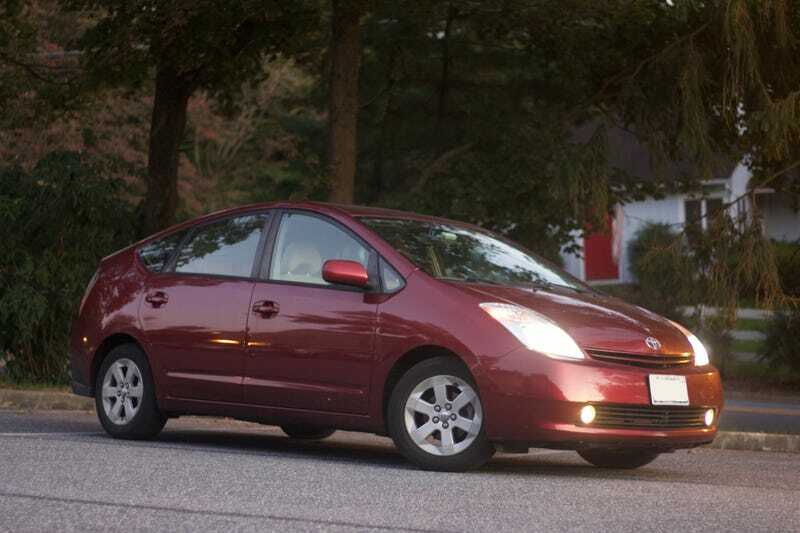 The first-generation Toyota Prius was essentially an Echo with a few 9 volt batteries thrown in the trunk. It wasn’t until the second generation that Toyota really crafted the Prius whose legacy continues today. With its Hybrid Synergy Drive, weird egg shape and extremely high MPG, it really was a revolutionary car when it debuted in 2004. The Prius became a status item among environmentalists (or celebrities posing as environmentalists) and people who wanted to “Go Green.” It’s also met with a ton of scorn by enthusiasts—scorn it does not deserve. The earth-friendly environmental image was met with backlash among “Real Car Guys.” They didn’t want those tree huggin’ hippies driving their Prius around and telling them they can’t do burnouts in the parking lot of Blockbuster (this is still in 2004) in their Chevelle 454 SS. The Real Car Guys said the Prius was a slow hunk of metal that put the idea of a car to shame. It became an automotive punchline among people who list their interests as “Drag Racin” and “Big Trucks.” I even fell into that pitfall when I first saw a Prius driving around town. For a while, it was cool to hate on the Prius. It was the opposite of a muscle car with a huge displacement engine and single digit miles per gallon. I have recently reversed my opinion on the Prius. I believe it’s actually a competent car that doesn’t really deserve the ridicule it gets. We’ve been judging the Prius by the wrong categories. The real Prius was in our hearts all along. When Toyota came out with the second-generation Prius, they said that it was a hybrid car that got very good gas mileage—and that’s pretty much it. Toyota didn’t say that it was a land speed record car, or was the Fourth Horseman of the Apocalypse. It was an unassuming fairly high-tech car to get people to work efficiently. That was it. That’s all it was. And it was good at what it was meant to do. Why hate on something like that? In order to get a real and nuanced opinion on a polarizing car like the Prius, I thought that I should drive one. Contrary to popular belief, I do have friend(s) who aren’t stock car drivers from the 1960s and one of those friends let me drive his Prius for an afternoon. This Prius is a 2005 model year with a little over 150,000 miles on the odometer. It’s definitely been “broken in.” It’s faithfully performed as a daily driver for several years with little complaint. My friend loves it. I thought I was going to hate the Prius when I drove it but I was proven wrong. I’m not going to say the Prius drives as good as any performance car out there or has a surprisingly responsive throttle or anything like that. The Prius is slow, handles like an egg, and is hard to see out of. But I think I “got” the Prius when I went out on the highway. Once I got up to highway speed, the Prius shined. It felt like the car settled into a groove and was ready to eat up highway miles as fast as the hybrid drivetrain would allow and use as little gas as possible. The interior of the Prius took some getting used to and Toyota made some perplexing choices when designing it. When you sit down in the driver’s seat, it feels like you are simultaneously in a doctor’s office and a spaceship. The interior is beige and you are welcomed by a cassette/CD player combo. (It is truly bizarre how long cassettes lasted in cars.) That’s where the familiarity ends. There is no gauge cluster on the Prius, just a big ol’ green display that indicates speed, gear and fuel in front of the driver at the base of the windshield. The gear selector (knob/joystick/switch?) is another oddity. It’s very subtly placed next to the steering wheel and my lizard brain didn’t immediately see it. In addition to the standard “D/N/R” markings on the gear stick, there is also a “B.” The words “Brive” and “Bpark” came to mind and after realizing that those weren’t words, my friend informed me that it referred to engine braking. This Prius gets 45 miles per gallon according to the owner which is right in line with what the EPA has listed. The Prius as a whole is unfairly judged against most other cars in the categories of speed, handling, egg-ness, etc. It fails in most of those categories because Toyota didn’t make it to excel in those areas. I believe there is value in having a car do exactly what the manufacturer says it will do. Most car companies can’t say that about their cars. All I have to do is mention Alfa Romeo and you’re bombarded with stories of them giving up with only a few miles on the odometer. Toyota made Prius to do exactly one thing and it does that exceptionally well. Give the Prius another chance. It may just be a fuel-sipping space pod, but it’s the best at what it’s made to do. And I respect it for that. The Prius Is A Car Too!